4 stars out of 4 -- "The film is a ghost story, in the sense that there’s a ghost in it, but it’s also many other things: a love story, a science fiction-inflected story about time travel and time loops, and a story about loneliness and denial..."
"Opening in domestic contentment, moving through personal anguish and ending with a cosmic lament, it’s a simple, wrenching story of love and loss that pries open a window onto eternity." 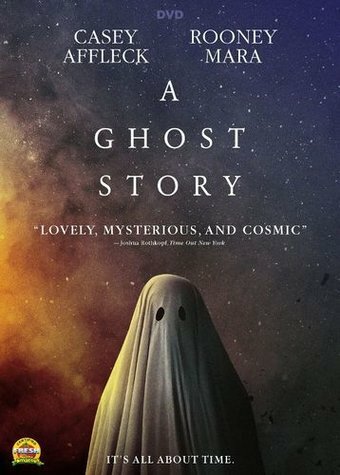 "A GHOST STORY keeps expanding metaphysically even as it pares away details; it becomes simpler, more elemental, and more emotionally transparent as it goes." 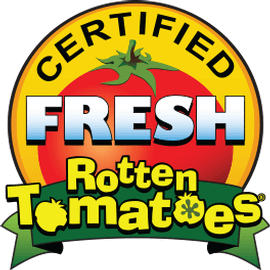 "[An] ingenious and affecting new film....Just when you think you’ve cracked the film’s circumscribed logic, it opens up and goes wild in ways at once too wondrous and too preposterous to spoil." "While Lowery’s actual method of delivery may not be scary, it’s sure to haunt those who open themselves up to the experience." "[D]isturbingly beautiful and spiritually challenging..."
"Lowery’s greatest success is in keeping this intentionally spare story from feeling like a gimmick." "By the standards of the moody art-house meditation on love, loss, memory, forgetting, attachment, letting go and the nature of eternity, it’s pretty darn great." 3.5 stars out of 4 -- "This is a poetic and profound experiment you do not want to miss." "The film's sense of time and space -- past, present and future -- grows steadily more elastic, porous, infinite." 3 stars out of 5 -- "A GHOST STORY is both deeply intimate and vast in scope, bridging years, then centuries, before looping back on itself." "Pensive, precise and with an elegant, looping structure, this is a first-rate piece of direction from Lowery, who also wrote the screenplay." "The wildly nonlinear tale of a phantom stuck to the home he adored is also a poignant examination of life and death, everlasting love and how the world moves on long after we’re gone." 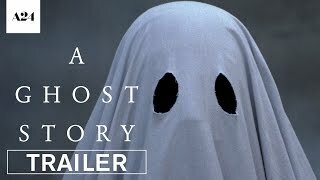 A dead man (Casey Affleck) returns home to haunt his wife (Rooney Mara), manifesting as a ghost wearing a sheet with eyeholes over his head. He remains stuck in the house even after she moves out, and observes different sets of occupants over the course of several decades. At the same time, he tries to communicate with a ghost living in the house next door. Written and directed by David Lowery (PETE'S DRAGON, AIN'T THEM BODIES SAINTS).